Bora™ HPD dryers can accept compressed air at inlet pessures up to 45 bar in ambient temperatures up to 50ºC. The maximum inlet temperature is 60°C. They utilize a two-stage stainless steel plate style heat exchanger for optimal heat transfer in the air-to-air and air-refrigerant circuits. Power consumption is reduced as less energy is required than conventional heat exchanger designs. The proprietary design of Boreas™ heat exchangers incorporates large flow channels for low pressure drop, which translates into low operating costs. A built-in cyclone separator with our Ultramat® zero-loss drain valve allows for the removal of condensed water without wasting any compressed air. The space-saving design brings cooling air in the front and out the top, allowing the unit to be placed next to a wall with other equipment on either side. 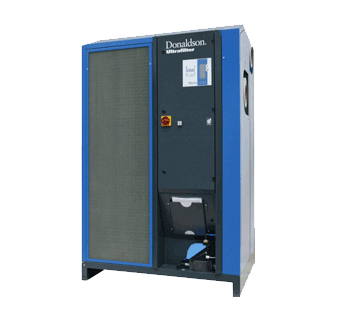 All Boreas™ dryers utilise environmentally friendly R134a refrigerant and are available in either air- cooled or water-cooled configurations. 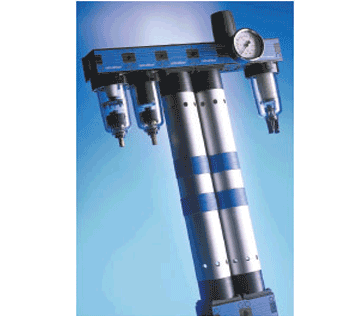 Volume flows of 1.950 to 28.000 m³/h are covered by the Boreas™ series. Brisa™ SE heat exchangers for compressed air have been optimised for extremely low pressure differentials. The Brisa™ SE dryers are suitable for volume flows of 10.500 to 50.000 m³/h. All Brisa™ SE dryers have up to a four-stage capacity control system for the refrigerant compressor and are serially equipped with a microprocessor controlled monitoring system. The overflow operation of the refrigerant vaporiser guarantees for a very good standard characteristic. The unique mechanical design and control logic of Buran™ cycling refrigerated air dryers sets them apart from the competition in energy efficient operation. When operating at 100% capacity, Buran™ dryers with Ultrapulse™ technology are more efficient than traditional dryers utilising hot gas bypass valves, and considerably less than thermal mass style cycling dryers. Power savings become even more apparent when operating at less than 100% capacity, as is often the case in real-world operation. All standard Buran™ cycling dryers are equipped a load controlled solenoid valve. The Buran™ cycling dryers cover a volume flow range of 50 to 1.650 m³/h. For maintenance units it also applies that the requirements for compressed air determine the components for the processing. As opposed to central processing where the compressed air is kept on the high quality level of the demanding area of application, the processing directly at the consumer only requires the components needed on site. Decentralised processing saves energy and costs especially when only a part of the generated compressed air needs to fulfil high requirements. 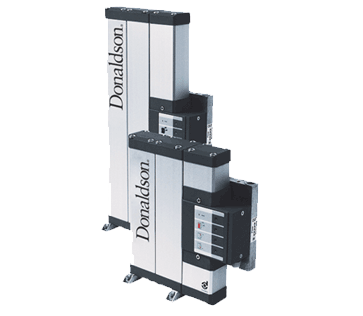 The compact FRL units can processes volume flows of 2 to 150 m³/h. for removing hydrocarbon and other vapours for critical applications for which the demand is oil-free and odour-free air. The HRC adsorption dryer range uses the absorbed moisture of heat caused by the compression process for desorption. The units therefore operate oil free, two-stage compressor without additional energy requirements. The total drying and regeneration cycle takes place under operating pressure. Heat exchange pressure of the desiccant and all other components therefore does not occur. This guarantees a long service life of components. Units with the sizes 600 to 60.000 m³h have already been built. The three heat regenerated adsorption dryer ranges provide for a multitude of individual customer solutions. Analogue measuring and control units provide maximum operational safety at optimal energy consumption. A wide variety of standard options for e.g. the additional energy saving control Ultraconomy rounds off the offering. The standard rage for dew points up to –40°C covers units from 375 m³/h to 13.600 m³/h. Larger capacities are available on request. 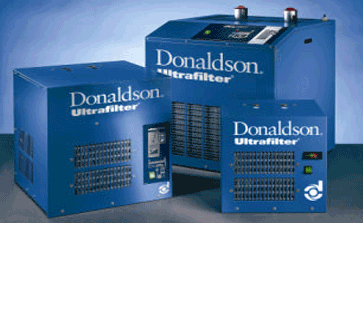 Ultrapac® Classic HED/ALD/MSD heatless desiccant compressed air dryers benefit from decades of design and fabrication experience by Donaldson. Our dryers are designed to consistently provide quality air with high energy efficiency in a flow range from 5 to 8750 m³/h at 7 bar g.
Operation is fully automatic with a guaranteed outlet dew point at one of three pre-selected settings: HED, –20°C pdp; ALD, -40°C pdp; MSD, -70°C pdp. Each dryer in the 5-1000 m³/h flow range is enclosed in a protective cabinet with easy-to-remove panels. 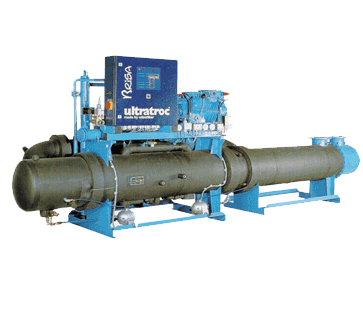 All Ultrapac® Classic dryers are supplied with preinstalled pre-filters and after-filters. The coalescing pre-filter is equipped with the Ultramat® zero-loss condensate drain. The compact design of Ultrapac® dryers takes up a minimum of floor space. excess of all relevant international standards and medical prescriptions. The AKC is an activated carbon absorber for the removal of oil vapours and hydrocarbons. It has a residual oil indicator with an accuracy of smaller than 0.01 ppm. The AKC models cover volume flows of 5 to 8.750 m³/h and have been built and tested for temperatures up to 50°C. The installation of a sub-micro filter on the inlet side of the AKC prevents oil carry-over to the activated carbon. The portable ALG20 breathing air unit is used when the breathing air is contaminated by the working process e.g. during sandblasting. 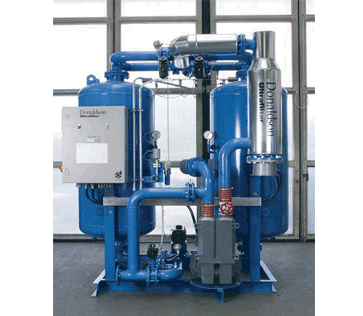 A two-phase respectively three-phase filter stage provides the purification solution. The unit includes a microprocessor-controlled differential gauge and Economizer for optimum filter exchange indication. The standard units include a sub-micro and activated carbon filter. With a flow rate of 60 m³/h, four persons can be provided with breathing air.